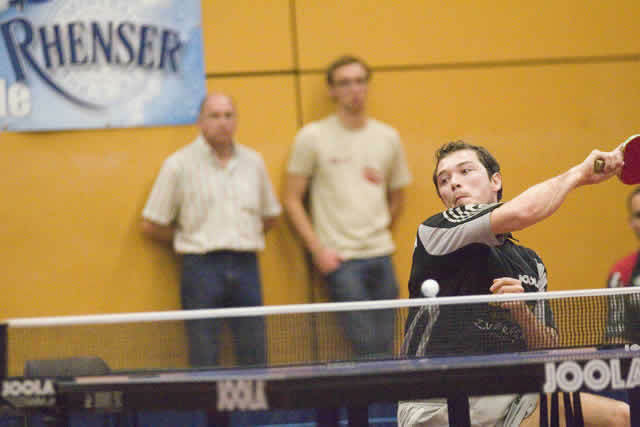 Table tennis is a popular game with two or four opposing players. It started many centuries ago with the upper-class society but has evolved into a game widely played by people from all walks of life around the globe. Something knows it as the most played paddle game in the world today. What is the Grip in Table Tennis? Why fuss so much about the grip? The game takes place on a table with a net as a division, and the role of each player is to hit the ping pong ball using a paddle. It requires power, speed, and basic knowledge of the game’s styles and techniques. And one primary table tennis skill you should learn is to know how to grip ping pong paddles the proper way. In the beginning, many will find it difficult to perform the right table tennis bat grip, but with regular practice and perseverance, you will master the skill in no time. And to help you achieve your goal, here are fail-safe grip techniques when playing table tennis. Performing the proper grip is essential when playing table tennis especially for beginners because it controls the angle of the paddle, therefore managing the direction, speed, depth, and spin of the ball. You need to have a neutral grip position so you can change from forehand to backhand or vice versa with fast speed. This kind of grip is used by most professional and recreational players. There are two variations of this grip – the shallow grip and the deep grip. The basic position is to hold the paddle like when you are shaking somebody’s hand. With the combination of correct handle grip style and stance, it is rather easy for a shakehand grip players to perform powerful forehand and backhand stroke. *Shallow shakehand grip – Place your thumb on the blade, not the rubber part. Extend your index finger to the bottom of the paddle, and let the remaining fingers grip the handle. Because of its loose grip, you can be more flexible and allows more powerful spins that can be done to the ball. A concave handle is ideal for shallow shakehand grip where it has the shape of a swallow’s tail and lies firmly in one’s palm. *Deep shakehand grip – Your thumb should rest on the rubber and hold the paddle as close to the blade. Extend your index finger along the bottom of the paddle and let the rest of the fingers grip the handle. This will allow you to create more precise spins and shots. An anatomic handle is ideal for deep shakehand grip players as the handle features an extra widening region in the middle for better grip to fit the contours of the hand. In fact, several variations are currently adapted for this ping pong grip type. The basic ping pong paddle penhold grip hand position is to hold the paddle as if you’re holding a pen, where the name was derived. 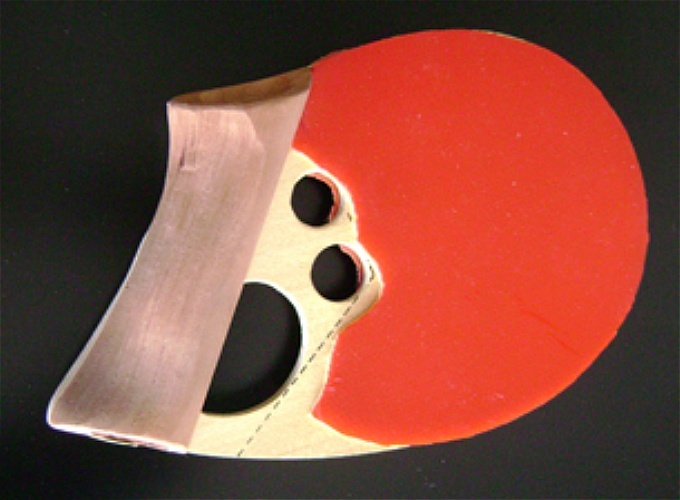 It is most common for Asian players to play ping pong with the penhold grip. For penhold players, it is rather hard for them to do a backhand serve as the hand grip style is just not at the comfort position. But penhold are very powerful in performing the forehand spin. *Traditional Chinese grip – The certain thumb and index finger should hold the handle, close to the blade. The other fingers are positioned in a curled manner around the back of the blade. *Japanese/ Korean grip – Execute the same hand position as that of the traditional Chinese table tennis grip, except that the three fingers at the back of the blade are straightened out, instead of curled. The fingers could be closed together, or wide apart. *Reverse penhold backhand grip – Position your fingers the same way with that of the traditional Chinese grip. The difference lies in how you can use the back of the blade for backhand shots. They name this grip style after the renown American table tennis coach, Danny Seemiller. To have the grip like this, the paddle needs to hold similar to the grip of shakehand, but the thumb and index finger need to place on either side of the paddle. While the rest of the fingers need to place at the bottom part. The advantage of using Seemiller grip is it can give the player a powerful forehand topspin where good wrist movement on the forehand stroke is rather easy to carry out. This grip is also good to use for blocking on both sides. While the disadvantage of holding a paddle like this is that it hampers The amount of wrist movement on the backhand side, which make the player not able to perform topspin very well. Like in any other sports, perfecting the basic skills is crucial and will definitely affect your performance in the game. As with table tennis, mastering the grip techniques for ping pong paddles will help you do extremely well in your sport. So, learn all the skills above and puff up with pride as you play a game of table tennis. The thumb and index finger curled around the handle instead of being flat across the bottom of the face like in the standard handshake grip. Players with this type of grip won’t be able to develop rapid-fire, over-the-table, block and drive skills on both wings. The grip itself is a large part of the blade. You can look at the design of the blade. You can hold it like holding a pistol. There can be a section of wood exposed because of the blade shape itself. But it is not approved by ITTF so you can’t use such a grip to play table tennis in a formal tournament. 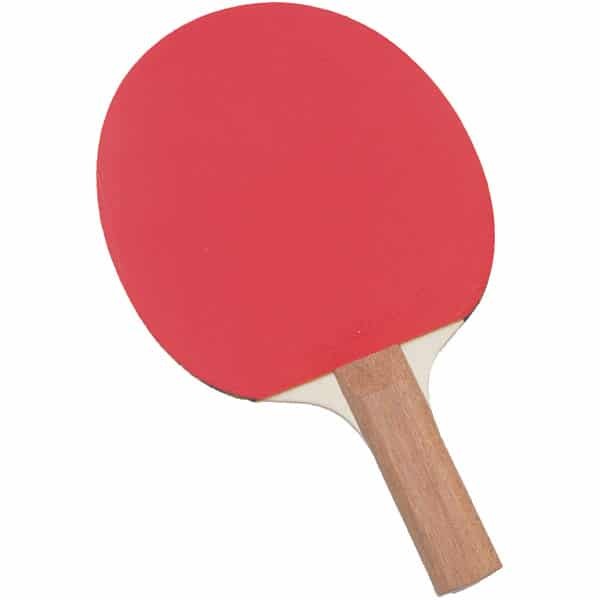 You can learn proper grip of ping pong paddle by following this video from PingSkills. This quick video shows you how to hold a table tennis bat properly. When I first started playing table tennis, I found that my hand was getting a little tired after playing for an hour or so. I realized that it was because of my grip. I was using the Shakehand grip but my pointing finger wasn’t positioned properly. It was facing up rather than down. This increased the pressure on my hand and it tired a lot quicker. Also, when you hold your bat, try to relax your hand. This entirely depends on the actual individual and skills. As a newbie, the shakehand grip felt a lot more natural than the penhold grip. I found that I couldn’t use my backhand properly and it just didn’t feel natural. As I said, it all depends on the player and what you feel comfortable with. You really need to practice yourself and see what feels more natural to you and take it on from there. When start learning more advance stroke such as forward push or loops, your grip will play in an important part of getting the technique right. If your grip is wrong, you will be hitting the net more often than getting points. So go out there and sort out your grip.